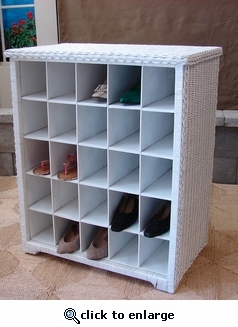 This is a convenient space saving solution that will store up to 25 (5 x 5) pairs of men's shoes. This fine handcrafted wicker cabinet has wood shelving. Shipped fully assembled. White finish.